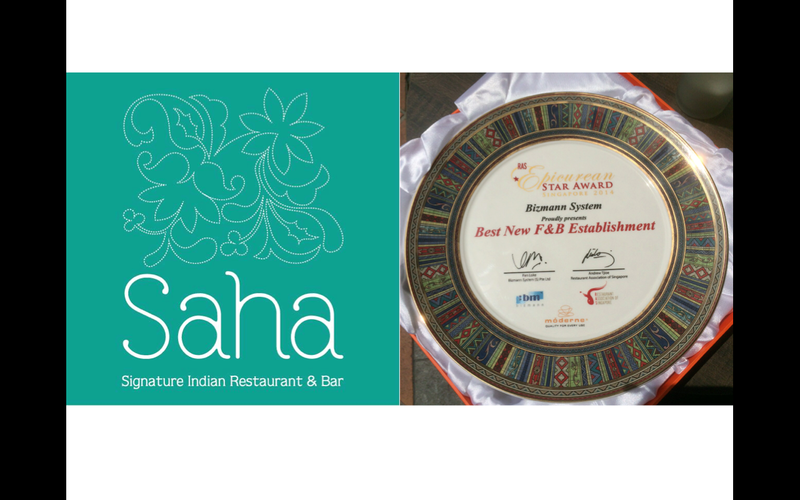 While Singapore’s discerning diners have warmly embraced Saha,where we have been showcasing Indian cuisine with an avant-garde approach, being named Best New Restaurant at the annual RAS (Restaurant Association of Singapore) Epicurean Star Awards held last month has come as another feather to our fairly new cap. 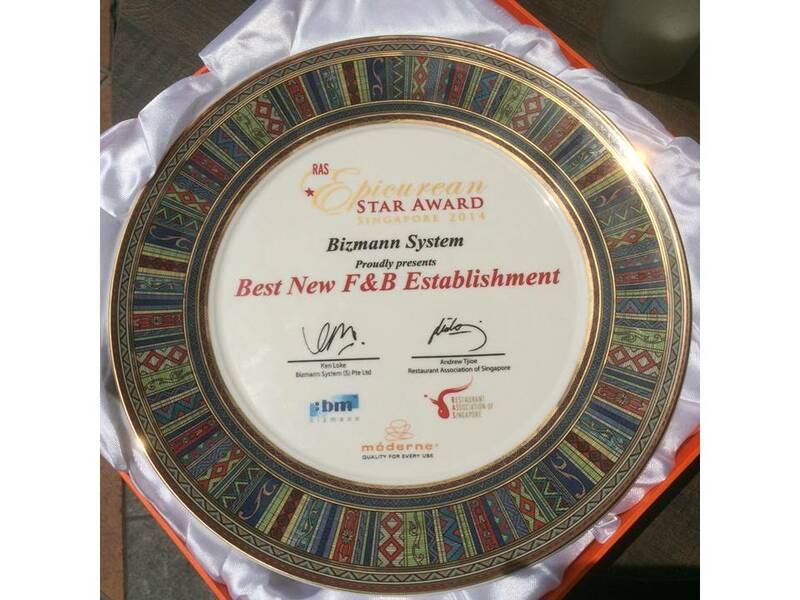 The other nominees in the Best New Restaurant category wereBabette, Cook and Brew, The Study, Dancing Crab, UNA and Pince & Pints, so it was certainly a tough challenge. Accolades and recognition such as this strengthen my belief that a constantly evolving approach to food is the way to go. While we believe Indian food to be tradition-bound, it has always shown a propensity to change with time. Right from the Vedic period, when norms for eating and cooking were laid down, Indian food and its many regional variations, have been subjected to diverse influences – Greek, Arab, Persian, Portuguese, Mughal and British.The Mughals, who established their empire here in the 16th Century and went on to rule for three centuries, endowed India with its ‘grande cuisine’, rich and sophisticated, with royal cooks thinking nothing of a flourish of pure gold for certain dishes. The cuisine of palace kitchens may rule supreme, but the humblest homes also celebrate their dishes and their cooking methods. Home cooking is, in fact, what makes Indian cuisine the vast and delightful realm that it is. The knowledge and techniques perfected over time and passed on through generations have ensured that diverse flavours co-exist in harmony to create an unmatched experience. 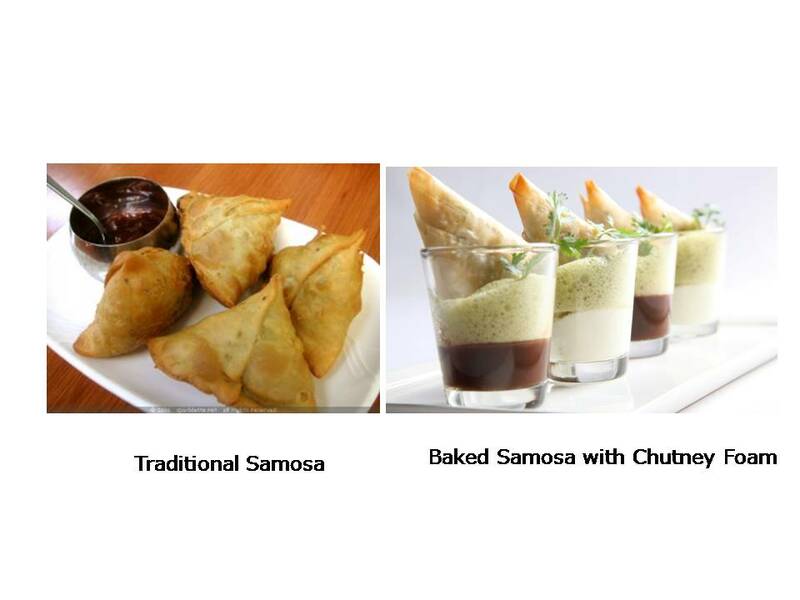 The ability of Indian cuisine to absorb and assimilate the influences of different cultures has not only given it complexity and vastness, but also the potential to be a World Cuisine. Which brings me to the burden of this piece: my quest to enhance traditional Indian cuisine and create new dining experiences. There is no reason why Indian cuisine, which has always absorbed influences and evolved, shouldn’t employ new techniques and culinary processes, which is what avantgarde cuisine is all about. I like to think of it as the analysis and understanding of dining psychology and the science behind it. To me, an avantgardeapproach can transform dining on Indian food to a whole new emotional and sensory experience. This is made possible by employing cooking techniques and presentations that have emerged from the confluence of culinary science, culinary arts and culinary artistry. Look at the canvas, or the spice rack, if you will, that we have to play with. Our geographical diversity spans the gamut from the mountains of Kashmir to the deserts of Rajasthan, the backwaters of Kerala to the Bay of Bengal. We have access to a diverse array of produce – including vegetables, fruit and seafood. We have spices and own the fine art of using them to achieve a unique balance of flavours and aromas. The success of avant-garde cuisine depends on being fully conversant with flavour pairings and being able to combine foods with similar volatile aroma molecule compositionswhichdeterminetheirflavour; creating a bridge betweensensationssuch as visionandtaste, colour and temperature; understanding perception and experiences and turning dining into multi-sensory experience. At Saha, Singapore, our menu, for most part, takes an avant-garde approach to traditional Indian food to create new and exciting experiences for the diner. We take, for instance, the Kerala classic ofMeen Moilee and deconstruct it, using the ingredients of the original and interpreting them differently. 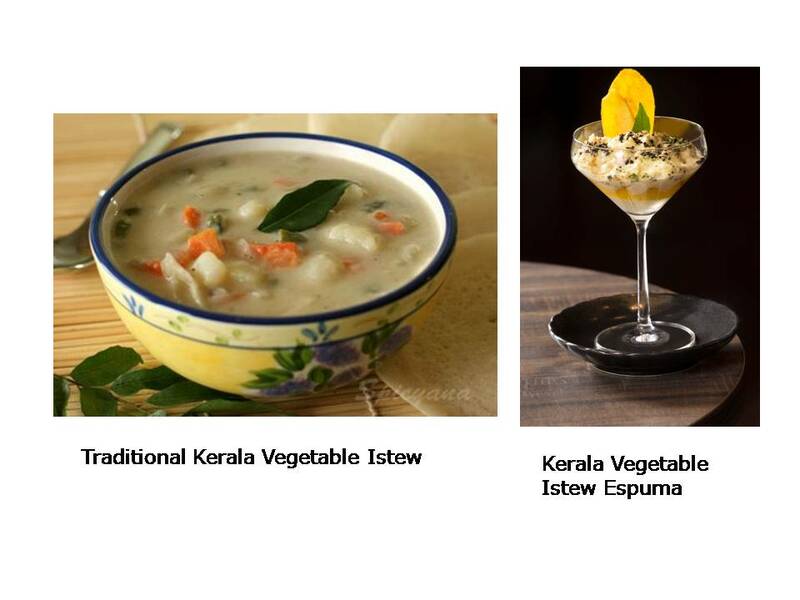 Similarly, the everyday vegetable stew of Kerala becomes an espuma in our kitchen. 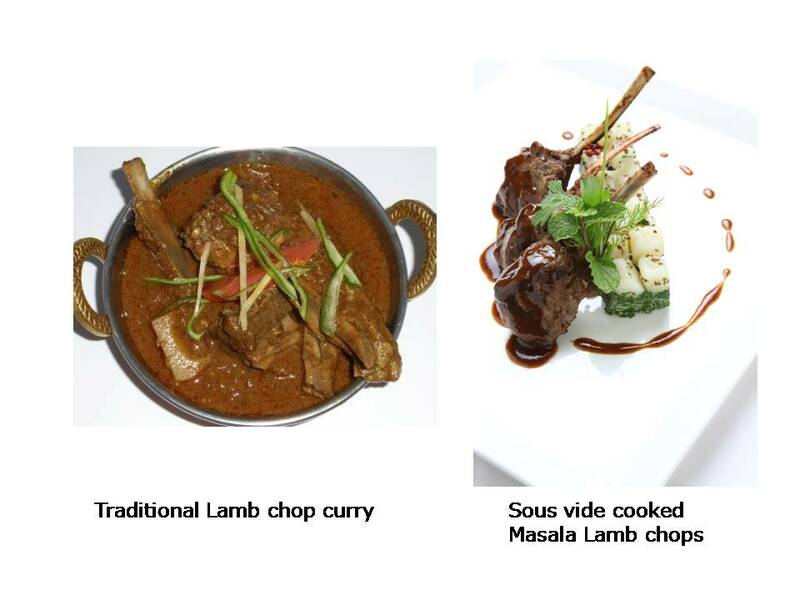 Sous vide cooking allows us to serve Masala Lamb Chops which are so like a classic lamb curry and still so different. 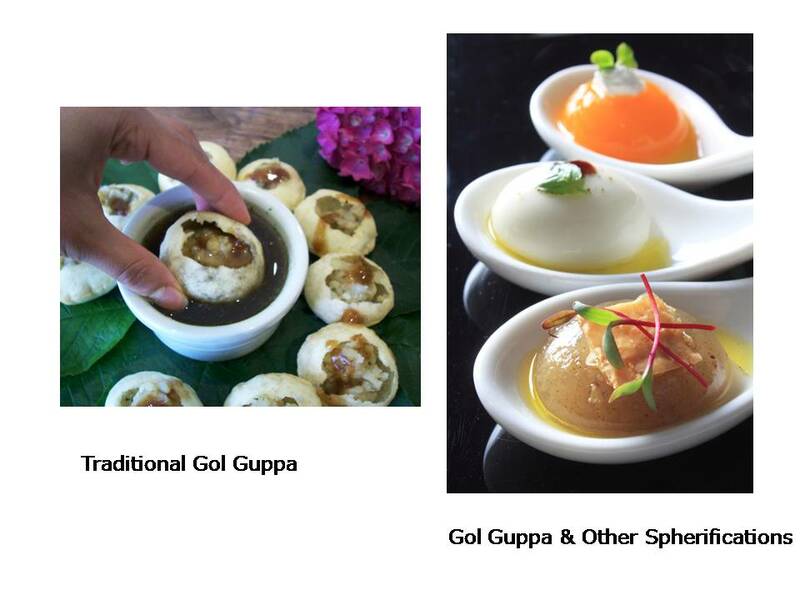 We have fun with street food favourites like golgappa and lassi and turn them into spherifications, resulting in surprising new textures and taste sensations.Our samosas are baked and we serve them with mint chutney foam in shot glasses; and diners tell us what a refreshing take on an old favourite it is. The advanced techniques we use for smoking food isa way of bridging the sensations of taste and aroma. When the glass dome is lifted off our Lamb Roulade with Kakori Spices, the diner is carried away in a waft of smoky aromas. The results we’ve achieved so far convince me that by taking an avant-garde approach in the Indian kitchen, it’s possible to unleash the infinite possibilities of this wonderful cuisine.